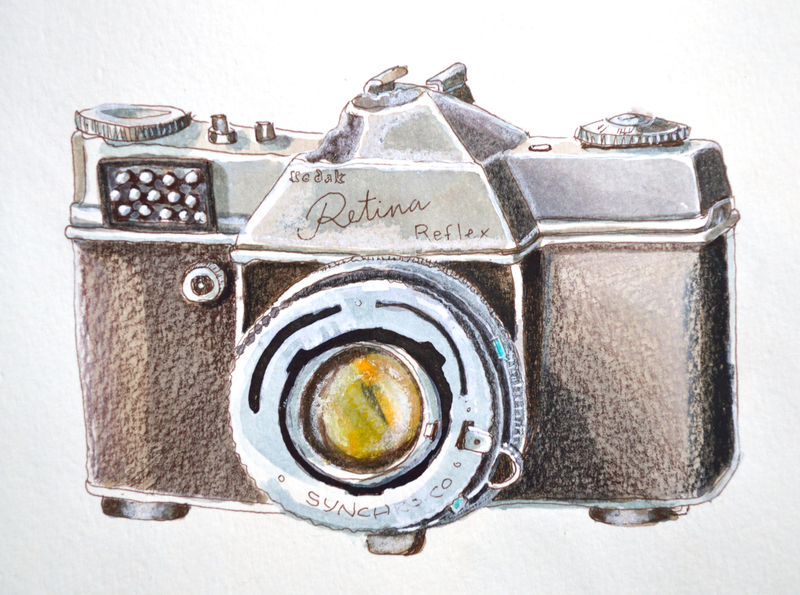 The camera, again, this time in watercolours and colored pencil, because I’m smitten (and can’t actually USE it till I get my fat little fingers on some film). E-mailed you, Jacinda, thank you! I love how you’ve captured the texture of the front of the camera. I can almost feel it! That was an Awesome Serendipitous Accident! The texture of the paper + lightly rubbing with a coloured pencil. I was thrilled, too. Love the painterly effects and the texture. Nicely done. Lovely rendering of textures in this study. I’ve been staring at the body of your camera and was wondering how you made it look so REAL! !